An Apple A Day is one of the many drinks on Starlight’s menu customers can order with CBD. 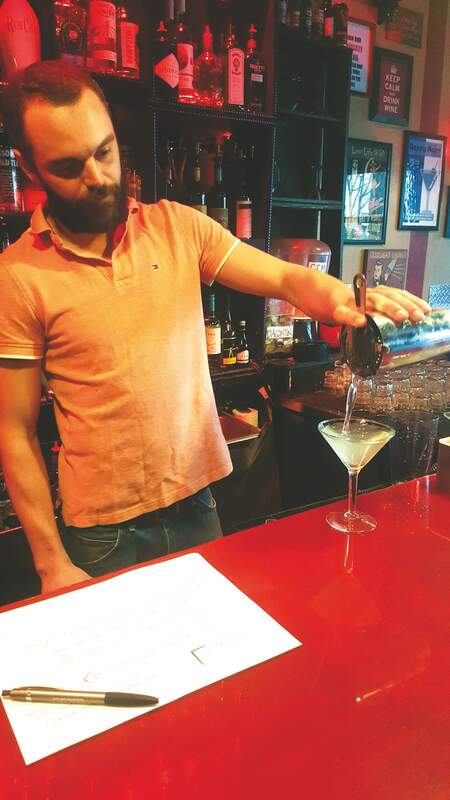 Matt McDermott, owner and manager of Starlight Lounge, makes a glass of An Apple A Day with a mix of CBD. 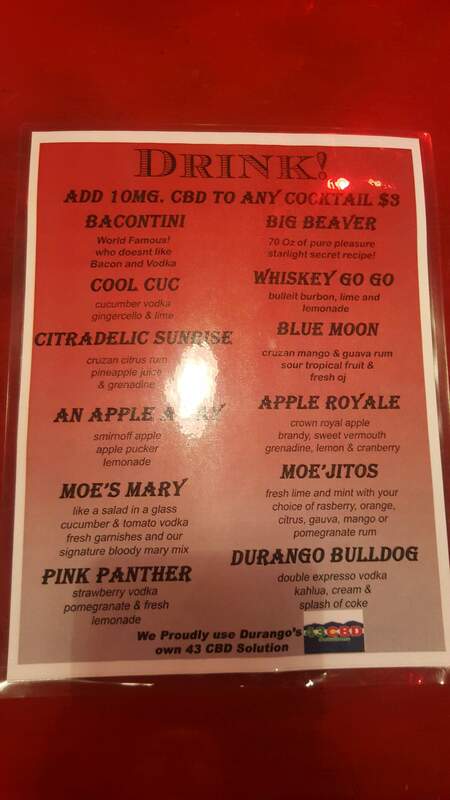 The CBD cocktail menu at Starlight Lounge. It dehydrates you, it’s chock-full of sugar and carbs, and we don’t think we need to remind anyone that hangovers also exist. Well friends ... Starlight Lounge is trying to help stave off some of those issues by offering CBD drinks. 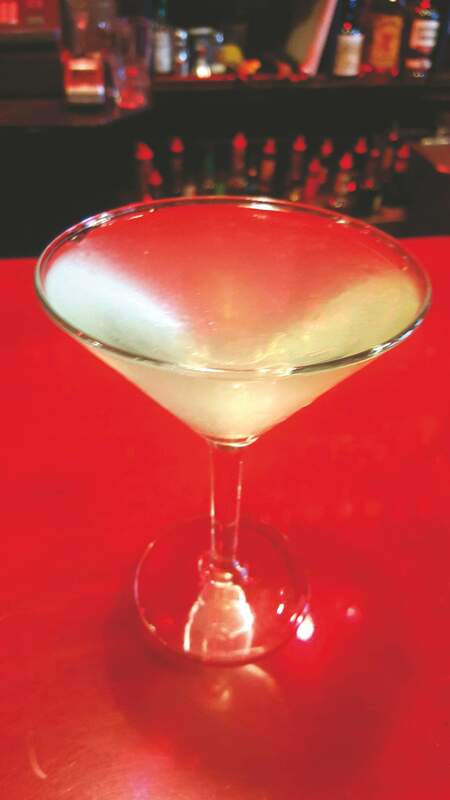 Partnering with Durango cannabis company 43 CBD Solutions, Starlight bartenders will coat your alcoholic beverage with a spray of 10 mg of CBD oil for $3 extra. Customers can get anything from a beer to An Apple A Day martini with a side of CBD. Matt McDermott, bartender at Starlight, has even had a customer request a dose of CBD added to their spinach and artichoke dip. CBD, a non-psychoactive cannabinoid found in cannabis, won’t make you high, but it is loaded with health benefits, from easing joint pain to alleviating anxiety. While CBD does boast health benefits, it can be accompanied by a funky, weedy flavor. Starlight worked with 43 CBD to come up with a custom blend that will neutralize the taste.